MoneyView is an Android app which keeps track of all spends by analysing the SMS sent by banks for each transactions. It’s awesome in the sense that it doesn’t require bank password to sync accounts. Hence, there is no fear of privacy and data leak. 1) Install MoneyView app on your phone. 2) Open the app and register with your mobile number. 3) Verify the number using OTP. 4) Now click on upper left corner and go to “Referral Credits”. 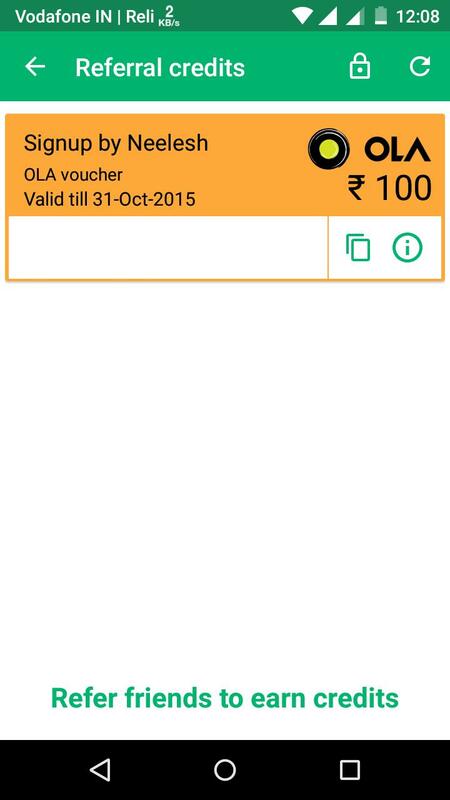 5) If you downloaded the app using the download link in step 1, you would see the ₹ 100 OlaCabs voucher as shown in the pic below. If it don’t, wait for sometime since it takes time to reflect on account. 6) If you have directly downloaded the app from Play Store, then it will ask for Referral Code. 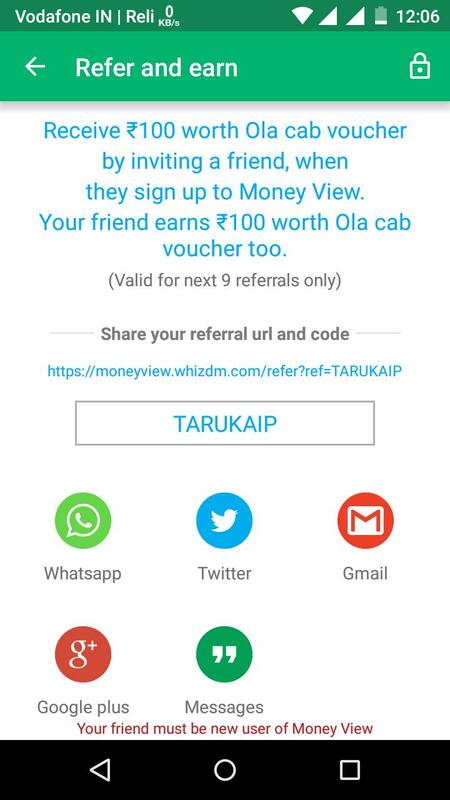 Enter TARUKAIP and you will get the OlaCabs voucher. Hurry up, since the above code is valid only for first 10 users. After sometime, you will get the Refer and earn option on the app.Using this option, you can refer 10 of your friends.You as well as your friends will receive ₹ 100 worth OlaCab vouchers. However, there is a limit of 10 referrals. So you can only receive a total of ₹ 1000 OlaCab vouchers by referring friends. 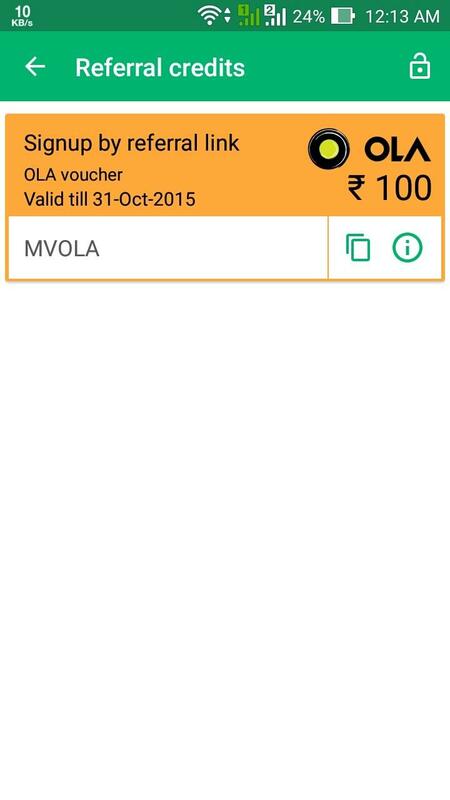 In total, you get ₹ 1100 worth OlaCabs vouchers from dowloading the MoneyView app. So what are you waiting for? Install MoneyView app now. Since my referral code works for only first 10 users, you can comment your referral code in comments section.